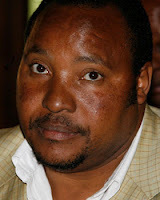 Thursday July 5, 2012 – Word has it that Embakasai MP Ferdinand Waititu has bought a degree from India as he prepares to vie for the Governor’s seat in the expansive Nairobi region. Waititu travelled to Punjab University in India where he had attained a diploma in commerce education in 1991 and paid some money to a broker who promptly delivered him a “degree certificate”. The Embakasi legislator has since been telling whoever cares to listen that he is a graduate in business management and no one can bar him from contesting any seat in the upcoming general elections. He was overheard saying he is the most educated MP in Nairobi.